The full complete OST (original soundtrack) for Flower Boy Ramyun Shop (aka Cool Guys, Hot Ramen) has been released on November 28th, 2011. The drama is one of the most popular drama series shown over the cable channel in Korea. The OST includes the song “Someone Like You” sang by idol actor in leading role on the drama, Jung Il Woo. The OST is now available on all major music stores and online stores, including YesAsia (aff). 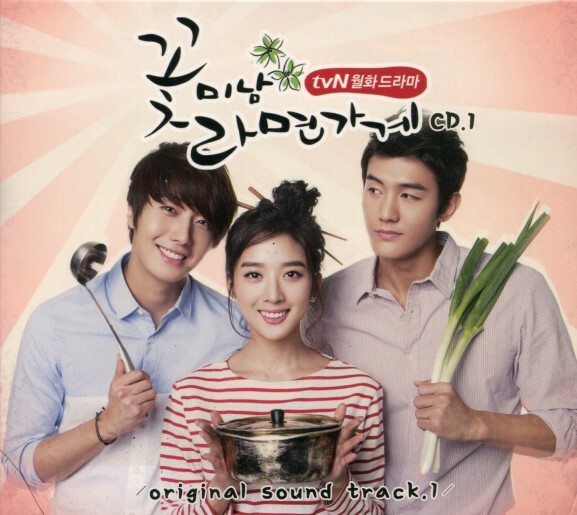 The CD 2 of Flower Boy Ramyun Shop OST has released too.